Choosing pillows may seem a straightforward process where you usually pick the softest and plumpest. 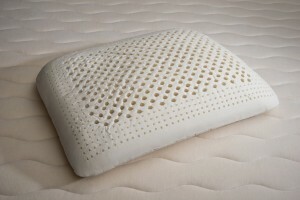 However, the materials, composition, and the firmness of the pillow actually matters, especially when you consider your desired level of comfort.To avoid the guesswork, look into a high-quality natural latex pillow that can easily conform to the contours of your head, neck, and shoulders to provide enough support to those areas and prevent sore spots. It sounds like the popular memory foam pillow, but natural latex is better as it is not made of synthetic foam and it easily regains its shape faster when you get out of bed. When it comes to latex pillows, you often have to choose among blended, synthetic, and natural latex. The natural latex pillow is highly recommended if you want to improve the quality of your sleep and wake up without aching shoulders and a stiff neck. High-quality natural latex pillows are safer and better for your health and well-being, too. If you have ever smelled a typical memory foam pillow, you might have wondered what that strong plastic smell is. You do not have to worry about strange odors in certified natural latex pillows. An natural latex pillow is great for any type of sleeper, so it does not matter whether you sleep on your back or your side. The pillow will adjust to your position and movements, and it will not show undue deterioration for an average of two decades. This way, natural latex pillows are cost effective in the long run, as they will not become flat and deteriorate in one or two years. You will find them easy to maintain, too, as they do not require constant cleaning. natural latex lets air circulate well to keep your head cool and to prevent moisture build up. It naturally repels dust mites and deters bacterial and fungal growth, too, so you can keep your bed allergy-free.